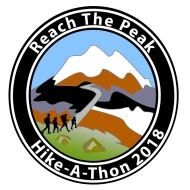 Participants in the second annual Reach the Peak Hike-a-Thon at Lassen Volcanic National Park will hike the Lassen Peak Trail to raise money for youth camping programs. This fundraiser is organized by the Lassen Park Foundation, which provides a fueling station at the trailhead with water and snacks to take with you on the trail (there will not be aid stations along the route). Please bring a water bottle or hydration pack to reduce disposable bottle waste. Kids under 12 are free! To learn more or register click here. NOTE: Sign up early as registration ends August 9, 2018 at 12:00 pm.